One of the most strikingly unique artists of his generation, Pasquale Grasso has undoubtedly changed the way the world views jazz guitar. Born in Ariano Irpino, Pasquale began playing guitar at a very young age. By the summer of 1997, his parents, who recognized the depth of their young son’s talent, sought out the instruction of jazz innovator, Agostino Di Giorgio. A former pupil of Chuck Wayne, Di Giorgio immediately took interest in Pasquale, whose prodigious aptitude for the instrument flourished as the young guitarist quickly became his closest pupil. From that point, it wouldn’t be long before news of this talent spread. Barry Harris, the world-renowned jazz educator and bebop piano master, became an extraordinary influence when Pasquale attended his jazz workshop in Switzerland during the summer of 1998. Harris, contemporary of Miles Davis, Sonny Stitt, and Cannonball Adderley, took Pasquale and his brother, Luigi, under his wing. Over the span of the next 5 years, the Grasso brothers became pillars of Harris’ international workshops and were quickly promoted from mere attendees to instructors for the other students. Pasquale was named Harris' guitar teaching assistant and for the last ten years he has conducted workshops in Italy, Switzerland, France, Spain, Holland, and Slovenia. In 2008, Pasquale pursued classical guitar studies in the Music Conservatory of Bologna under Professor Walter Zanetti. During his time at the conservatory, Grasso developed a new approach to the guitar, combining classical tradition with Chuck Wayne's modern technique. In 2012, he moved to New York City and quickly made a name for himself in the city's vibrant jazz scene. Grasso became part of the Ari Roland Quartet and the Chris Byars Quartet, performing in clubs, music festivals, and recording in the studio regularly. Later that year, Pasquale was named a Jazz Ambassador with the US Embassy, going on to tour extensively across Europe, Kuwait, Kazakhstan, Cyprus, Lithuania, and Ukraine, among others. 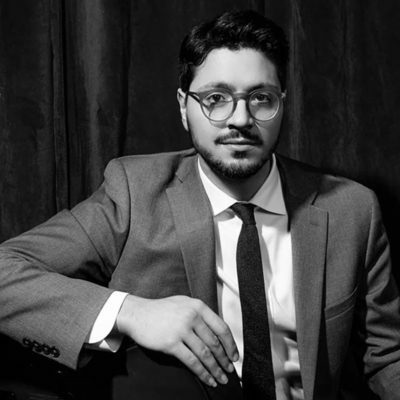 Despite his young age, Grasso has performed with many leading musicians of the international jazz scene such as: Barry Harris, Charles Davis, Freddie Redd, Frank Wess, Leroy Williams, Ray Drummond, Murray Wall, Steve Grossman, Tardo Hammer, Jimmy Wormworth, John Mosca, Sacha Perry, Ari Roland, Luigi Grasso, Chris Byars, Zaid Nasser, Bucky Pizzarelli, China Moses, Harry Allen Quartet, Grant Stewart, Stepko Gut, Nicolas Dary, Dado Moroni, Agostino di Giorgio, Michel Pastre Big Band, Gianni Basso Big Band, Joe Cohn, Oscar Zenari, and Luca Pisani. Pasquale’s guitar was expertly crafted for him by long time friend and luthier, Bryant Trenier. Trenier Guitars is located in Suffern, New York.